Pressia was only a young child the day of the Detonations. The day that changed the world forever. Those inside the dome were protected but the masses left outside were irrevocably changed; the combination of radiation and nanotechnology leaving them fused with their surroundings. When Pressia turns sixteen, she is expected to join the OSR, a militia intent on taking over the dome and the Pures inside but like everyone else her age, she will do whatever she can to avoid them. 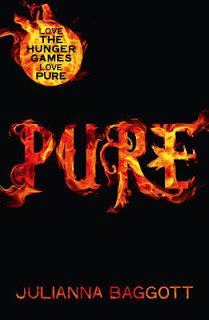 Julianna Baggott has created a dark and oppressive world in Pure. Pressia’s hand has been fused with the doll she was holding when the detonations happened. Bradwell shares his back with a flock of birds. El Captian and his brother now share the same body. 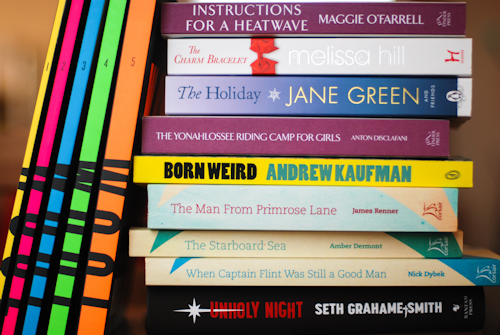 It’s a book in which physical perfection has little bearing. Where Patridge is a Pure from the dome, his appearance is more shocking to the so-called wretches who only have the memories of what their bodies were like in the Before. Whilst told in third person narrative, the story does jump between perspectives and it took me a while to get into the story. There is quite a lot to take in, especially in a world so changed from ours. I also over-though the detonations; at first I assumed they were nuclear bombs and the fusings and resulting DNA mutations didn’t quite make sense. However, a brief pseudo-science explanation is given, that there was nanotechnology combined in the bombs, partly designed to regenerate tissue and to do something a bit vague with DNA. If you don’t think about it too much you’ll be fine! Once I got into the story, I didn’t want to put it down. The post-apocalyptic world is more than just a setting for a coming of age story. In fact, I think Pressia has already grown up very much before this story starts. It’s not reliant on romance to drive the plot. It is about relationships under extreme conditions; loyalties and sacrifices. When to be selfish and when to fight for something bigger. I did think Partridge was a bit stupid at times, but he has had a sheltered existence and it probably suits his character. 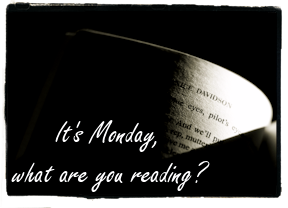 It's one of those books that treads the line between YA and adult fiction. I would certainly recommend to those who wouldn't normally pick up a YA book. 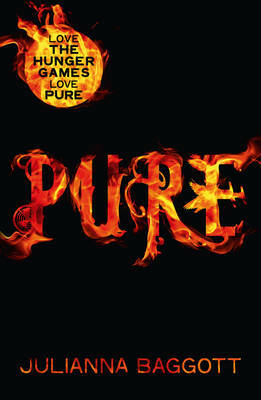 I'm excited to read the next instalment, Fuse, but not because Pure has a non-ending. 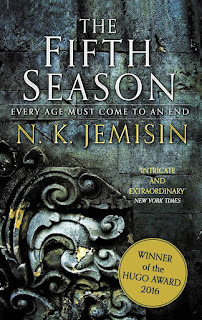 In fact, it's been the first time in ages that I haven't been annoyed by the ending of book one in a trilogy! I feel the blurb for this book is a spoiler; knowing what it is loosely based on gives the whole story away. There is maybe less than a quarter of the book that isn’t predictable due to that fact. 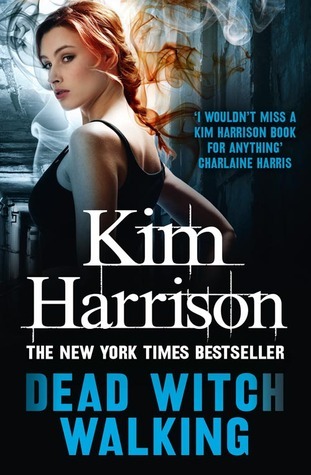 I’m not sure it will be easy to avoid but I am going to skirt round it in this review, just in case the blurb is pulled and replaced with something a bit more mysterious! It’s written in present tense which is quite unusual for young adult and may not be to everyone’s tastes. However the prose is haunting and fittingly gothic. The autumnal setting is atmospheric and it’s the perfect read for this time of year. 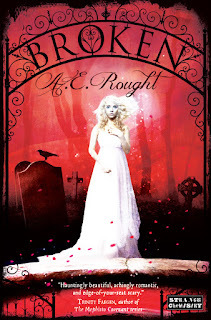 I loved the descriptive nature of this book which gave it a much more literary YA leaning. Full of teenage angst, Emma’s situation is heart-breaking. Her sadness weighs her down because she is feeling the loss of someone so much. Perhaps their love would have been fleeting, but being ripped apart so early has left her feeling that Daniel was her soulmate and no one could compare. As the title suggests, the characters are indeed broken. And the reveal, even though you know it’s coming, is just as heart-breaking if you stop to think about the whole situation. Yes, it’s a little disturbing as well, but this is a YA take on the horror genre so we have to expect a few chills. It stayed with me after well after I put the book down. 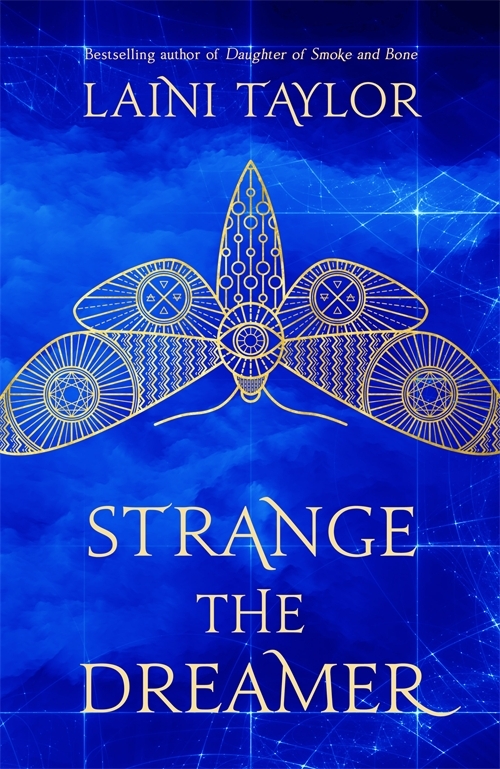 It might be a bit too woe-be-me for some readers; Emma isn’t much of an optimist to say the least but the story is beautifully written and the characters genuine. I enjoyed it despite its predictability; I just wonder if I would have absolutely loved it if I hadn’t known. There are a few hints along the way so I’m not going to pretend the end would be a complete surprise anyway, it’s just nice to have the chance to work it out for yourself. 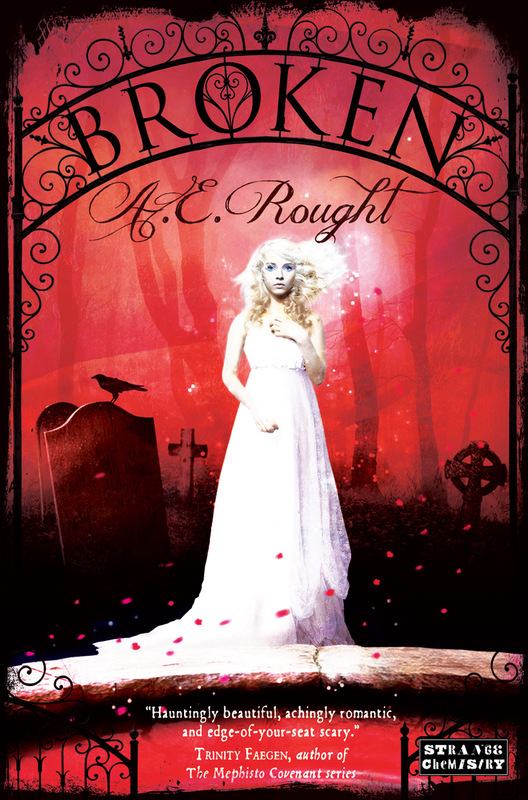 Broken will be published by Strange Chemistry in paperback and ebook formats from 3rd January 2013. Thanks go to the publisher for providing a copy for review. Lots of review in the last fortnight, not so much on the feature front. Tis always the way; I never seem to have an even balance! Oh well, it's my blog, it doesn't really matter does it. 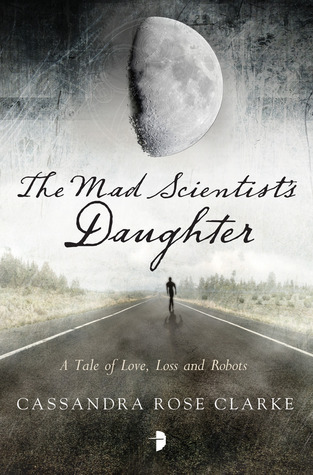 Review will be a while coming but I whole-heartedly recommend The Mad Scientist's Daughter by Cassandra Rose Clarke, it is just stunning and I cried my eyes out on Saturday reading it. Catalogue Spotlight: Summersdale | Incoming! "how to make things for a bookworm"
There are lots, be a bit more specific. "simon & schuster blogger event"
Oops, still haven't written this up. Thanks for the reminder! I was joking this week that I was getting daily post from Headline but it's not far off! I haven't read any Janet Evanovich before; do you think I can pick these ones up without reading the whole series? 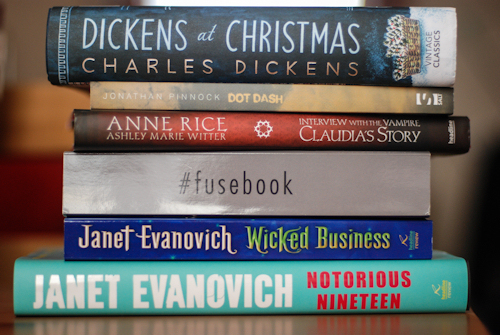 You may have noticed I've been stockpiling festive reads recently...yup Christmas is only a month away and I'll be starting to feature some holiday reading. Daniel didn’t know his father was dead until a few days after it happened. His death brings mixed feelings; both relief and sadness. Weighing in at over 500 pounds, Big Ray was not an easy man to know. His temper defined Daniel’s childhood and distanced them as adults. As Daniel comes to terms with his loss, he recalls memories and anecdotes of his father, from birth to death. I don’t know if it counts as a kind of suicide – to eat yourself to death. Big Ray is made up of 500 entries, one for each pound both Daniel’s and Michael Kimball’s fathers weighed. Whilst the structure of short memories and snippets of information works, I found the number a bit tenuous as some of them are really one entry split up. The narrative jumps around very much like a train of thought, mirroring the patterns of memory. When we think of a lost one we don’t do so in a linear fashion. It also deals with the conflicts of grieving someone you may have loved but not liked. Daniel’s relationship with his father was a difficult one but he was still his father. 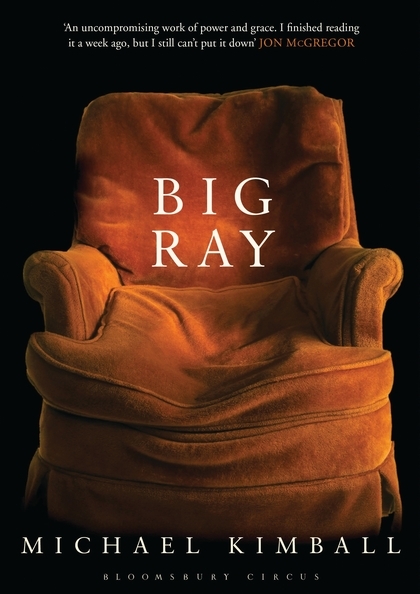 There is a semi-autobiographical slant to the novel as the author’s father was also obese, adding authenticity to the descriptions of Ray’s weight and the things that became difficult as he grew. There isn’t a sense of why he ate so much, just that he was overbearing both in physical size and personality. I didn’t have to make many telephone calls, but some of them were difficult. There were a few people who needed to be reminded who my father was and I was surprised they had been able to forget him. I asked each of them how they did it, but none of them could explain. The words “my father” are used a lot throughout the prose, partly creating a sense of detachment but it started to grate on me after a while. Each entry has it at least once and it’s not like there would be any ambiguity to who is being referred to. It’s obviously being used for effect but one that started to get in the way of my enjoyment a little. Otherwise, it’s a powerful, little book. Big Ray will be published by Bloomsbury Circus on 6th December 2012 in trade paperback and ebook formats. Thanks go to the publisher for providing a copy for review. Claudia is just a child when the vampire Lestat turns her, condemning her to an eternity trapped in a child’s body. As her love for Louis strengthens, so does her hatred of Lestat. This is her story. 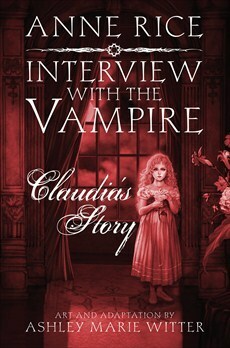 Interview with the Vampire: Claudia’s Story is a graphic novel adapted from Anne Rice’s novel by Ashley Marie Witter. I would imagine that the target audience for this book are going to be existing fans so I won’t go into the story too much. Claudia’s very nature is contradictory; her childhood is stolen from her yet she will never grow into a woman. Inside she is a predator, but the world still treats her as a child. It really is a heartbreaking tale. The beautiful sepia artwork has a sketchy feeling but Ashley captures expressions perfectly. 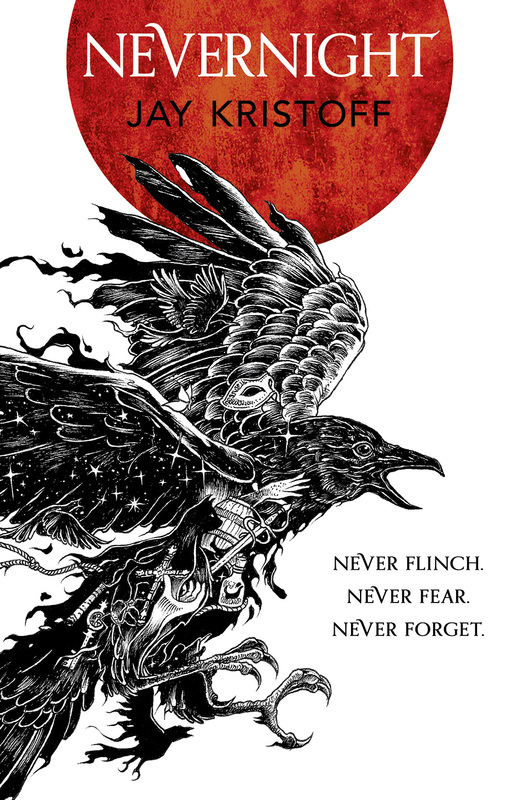 The splashes of blood red are vivid and really do make the pages look bloody. I absolutely love this use of colour, it’s so effective. One thing that is a little weak is her representation of hands. Sometimes they look like deformed claws and whilst not the focus of the images, once I noticed them my eyes kept going there. If you were inclined to pick up this book with no knowledge of Interview with the Vampire, you might find Louis a bit of a wishy washy character. I imprinted what I already knew onto him as I read but I don’t think he is developed at all except for Claudia’s feelings. The emotion in the drawings of Lestat convey a lot more; enough to fill in the gaps. Claudia's Story is published by Headline and is now available in hardback and ebook formats. Thanks go to the publisher for providing a copy for review. Whatever you do, don’t say you want to go outside. Holsten is the sheriff of a silo; an underground city keeping its inhabitants safe from the inhospitable outside world. Those living up top see the barren landscape only through the surveillance cameras which can only be cleaned when the worst happens. When someone is sent outside. No one ever fails to clean the cameras, not even Holsten’s wife who he lost years before. This edition of Wool is really five separate novellas bundled as an omnibus. The first three books serve as tableaus in the lives of three very different inhabitants. Part One: Holsten follows the sheriff as he discovers more about what happened with his wife. Part Two: Casting Off plunges into the depths of the silo as the mayor and her deputy sheriff take the long journey down to maintenance at the bottom of the silo. Part Three: Proper Gauge picks up with Juliette finding her feet up top. I kind of liked this structure however Part Four: The Unravelling and Part Five: The Stranded become much more about the community of the silo, interactions between people and the politics of the world. The characters, however brief their role, were all well-developed. There’s one scene where Bernard seems a bit inconsistent with previous actions but otherwise I though the characterisation was one of the strong points. I really cared about what happened to them all and they kept me reaching out for the next book. And I sort of loved the sinister nature of the IT department. A lot of the online reviews for Wool have been bandying round the word unique. In contrast I feel it has a classic science fiction vibe to it, which isn’t bad at all. But it’s not ground-breaking stuff. The dystopian world itself is well thought out and it nicely plays with the cliché of the lies governments tell about the outside world. I had started off thinking it was all a bit too clichéd myself but it turns the idea round on its head at times. 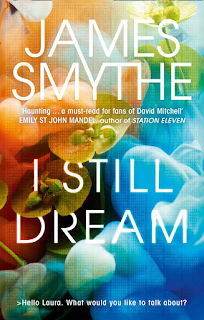 There aren’t any obvious holes in the politics and it’s good to see some dystopian fiction where the broken world isn’t just a trendy back-drop to a different story altogether. 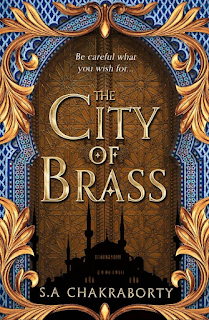 I didn’t really get a sense of the silo in the first book but when the mayor and deputy head downwards in book two; I loved the idea that it was a mission to visit the other end. They have to take the stairs! Down over 100 levels, with a vast sense of scale. 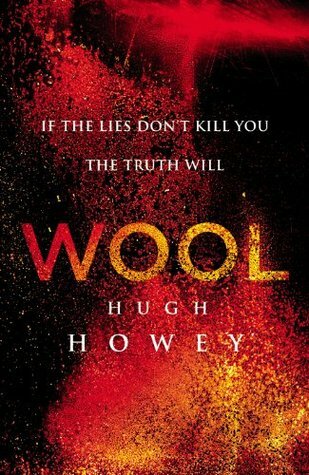 So I did enjoy reading Wool but I can’t pretend it is flawless. The fact that it was written as five separate novellas doesn’t help matters when it’s packaged as a novel. The first book is really just a short story and the prose is clunky. I found myself having to re-read the first few pages because it just wasn’t natural to read. The ending rescues it; the ending is just brilliant and I can understand why his early fans begged him to write more. 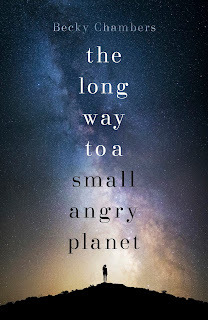 There’s a reliance on similes which continues on into book two where too much attention was drawn to otherwise subtle actions, making it a bit predictable. It’s not until book three where Howey appears to find his stride and the writing style improves. Reading them together causes some pacing issues; just at the moment where the story should be at its exciting climax in book five, there are a lot of slow descriptive passages. When reading them separately, this may not matter but it was a little off-putting for me. The frustrating thing for me as a reader is that the above could have easily been fixed with the good, old-fashioned editing process that a traditional publisher usually provides. It’s a worrying trend that publishers are picking up internet hits and releasing them in the wild with little more than a snazzy new cover. Now, Random House only bought the UK rights so it might be a little awkward to have two versions of the book available depending on where you live. 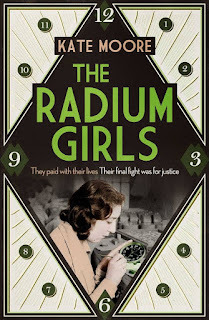 The word-of-mouth buzz is still circulating and I can understand they don’t want the book off the market for too long (if you live outside the UK you can still buy the self-published version). Perhaps even Howey didn’t want to re-write parts of a series that had already proved popular. If you can look past the editing issues, Wool is still an entertaining read. 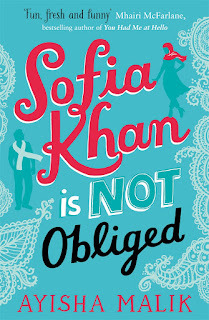 It will be published in the UK in hardback and ebook formats by Century, an imprint of Random House, on 17th January 2013. Thanks go to the publisher for providing (a very lovely) copy for review. After a lifetime of being nice, Doppler realises he doesn’t like people that much and sets off to live in the forest by himself, leaving his life, and wife and children, behind. When he becomes desperate for food, he kills an elk. But the elk was a mother and leaves behind a calf. A calf that won’t go away. Doppler reluctantly takes the calf into his tent and soon names him Bongo. After his father, who wasn’t called Bongo but is dead. I want to share with you what’s written on the back of the proof because it’s one of the best blurbs I’ve read this year (and I bet it won’t see the light of day otherwise). I live in the woods with a man called Doppler, who stabbed my mother with a hunting knife when I was very young. I am an elk btw. A Norwegian elk. A writer called Erland has written a whole book about Doppler and me. It’s already sold a squillion copies in Norway, and lots of readers said it was a deeply subversive fable about the consumer society, middle-class angst and that sort of thing. We are legion, our movement will triumph. And I guess that sets the tone for the book. Not that it’s written from Bongo’s point of view; that would be silly. He’s an elk and he can’t talk (despite Doppler’s efforts to teach him). The narrative is first person from Doppler’s perspective and it’s not really about Bongo. But I love Bongo! And their odd little relationship out there in the wild before their peace is shattered. I think I’d quite like an elk as a friend but then I’d have to live in the woods without my creature comforts. There are moments when Doppler’s not a very likeable character; he is making a concerted effort to be selfish but there’s something charming about him. He doesn’t get to shake off his niceness that easily. Doppler goes to extreme lengths to escape the consumerism of his life but there’s a lot that rings true. He is plagued by the incessant and pointless noise of children’s TV shows, his son is practically addicted to them but somewhere along the way, modern life ceases to matter. Life can be good and fun without the mod-cons and sometimes the race to beat the Joneses gets in the way of living. 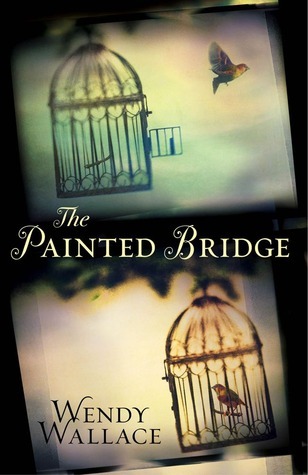 A charming, lovely, odd and thought-provoking book. It’s the perfect antidote to the madness of Christmas. 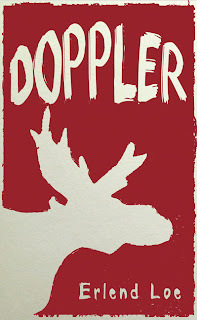 Not that Doppler is a particularly festive read but it does span over the winter months and there is a Christmas scene of sorts. Originally written in Norwegian by Erlend Loe, this edition has been translated into English by Don Bartlett (of Nesbo fame) and Don Shaw. 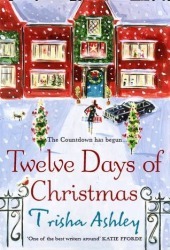 Published by Head of Zeus in the UK, the hardback and ebook editions will be available from 1st December 2012. Thanks go to the publisher for providing a copy for review. For every hour of the day, The Horologicon brings us a lost word or four to perfectly suit any situation. Mark Forsyth takes us through an average working day from the first moments of consciousness to avoiding working at work, ending on a night out and a much deserved descent into sleep. The Horologicon is an absolute delight to read if you just love words. I laughed out loud on several occasions and have squirrelled away so many new old words for future use. Don’t let these words die out! There are nod-crafty snollygosters, whifflers and causey-webs in the coughery. And that’s before you’ve even done any work. Need an excuse to skive off? Mark can help you out, at least in baffling your boss without even lying. But these days the closest thing to a levee is the early-morning phone call to your boss to egrote. Egrote is a fantastically useful word meaning “to feign sickness in order to avoid work”. Mark does warn us that reading the book all in one go will drive you insane and it’s intended as a book to dip into. But it does follow you (yes it’s written in second person without being annoying) throughout a day and runs in chronological order. Breaks are recommended if you want to remember all the words as it could be a bit of information overload, but in an enjoyable way. Not only is it full of wonderful and weird words, there are plenty of amusing and interesting historical anecdotes to back them up. Learn about the professional business of writing begging letters and the history of tea and the great tea masters. You’ll even learn the real meaning of murder! There’s no literary log-rolling required here, it’s genuinely a book to be read by all. 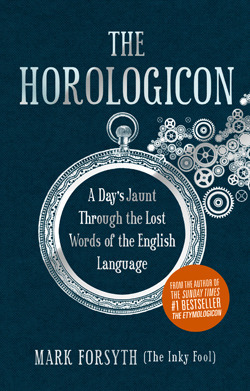 The Horologicon is published by Icon Books and is currently available in hardback and ebook formats. Thanks go to the publisher for providing a copy for review via NetGalley. And I love it so much I’ll be getting myself a print copy to refer to at all times of the day. Aren't those proofs of Wool lovely? Originally self-published as novellas, Random House are publishing them together as a novel next year but still split the proofs up into separate books. I am reading them at the moment and they're making me feel very productive!